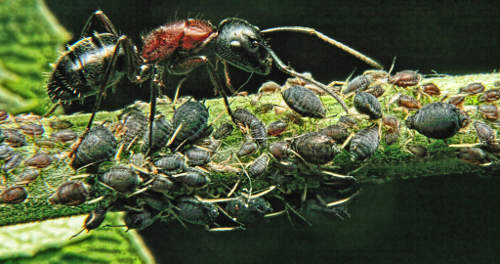 Ants seem to care even more for property than we do ourselves. We men are inclined to ease up a little when we have all we need. But it is not so with ants: they can’t bear to stop: they keep right on working. This means that ants do not contemplate: they heed nothing outside of their own little rounds. It is almost as though their fondness for labor had closed fast their minds. Conceivably they might have developed inquiring minds. But this would have run against their strongest instincts. The ant is knowing and wise; but he doesn’t know enough to take a vacation. The worshiper of energy is too physically energetic to see that he cannot explore certain higher fields until he is still.